If you’ve ever been described as a bowerbird that’s not a bad thing! Bowerbirds are fantastic birds. 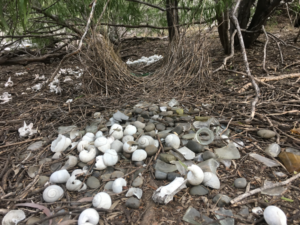 Our Principal Ecologist and Tour Guide Craig Eddie recently took these photographs of a bower in some roadside vegetation in western Queensland. 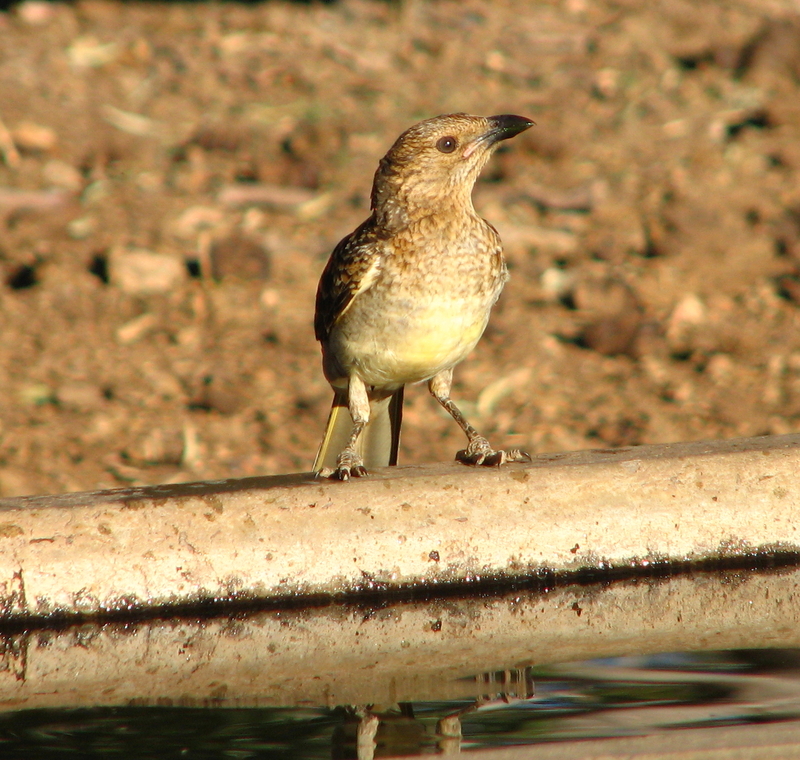 The bower belongs to our resident bowerbird in Outback Queensland – the Spotted Bowerbird. Like all bowerbirds, they build a bower which is basically an archway constructed from grass stems and twigs. Each stem or twig is positioned precisely and the whole structure is glued together by the bird’s saliva. The bower is built by the male and its purpose is to provide an area where he can display to the female. An amazing array of items are used to decorate the bower. 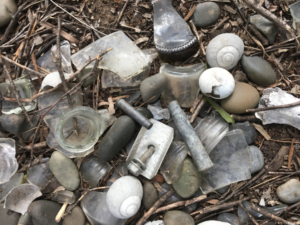 At the entry and exit to the bower is a scattering of items that are predominantly white, such as old cow or sheep bones and bleached snail shells. Among the piles of bone are often small grey or white pebbles, shards of brown or clear glass, pieces of aluminium foil and bits of plastic. Silver items are a common feature, particularly old nuts and bolts, which are often ‘borrowed’ from the nearest farm shed. Spent rounds of ammunition are often present as well, and Craig has seen one bower that was decorated entirely with an amazing array of bullet shells and shotgun cartridges. Inside the bower is where the most prized possessions are placed. In many cases, the items within the bower will be a different colour to those outside it. Pieces of green or purple grass and small green berries are favourites. If you look carefully in the photos, this bowerbird’s most prized item is a tiny light bulb. 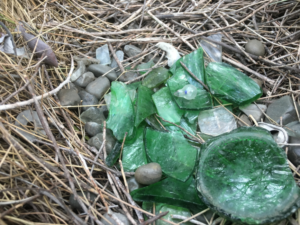 The bowerbird doesn’t just collect all this stuff for the sake of it. It’s all about attracting and impressing a mate. The male will call and perform his dances at the bower – the more impressive his performance and items of decoration, the more likely he is to win the right to mate. His musical repertoire frequently includes mimicry of other bird calls and even chainsaws and vehicle noises. As far as characters in the bush go, Spotted Bowerbirds are one of the real larrikins of the bird world. Craig once heard a Spotted Bowerbird in a fruit tree perfectly mimic the call of a bird of prey in order to scare off the other birds in the tree so it could have all the fruit to itself! If you venture too close to a Spotted Bowerbird’s bower, or tamper with his items, you will be scorned with all sorts of harsh berating calls. Although the Spotted Bowerbird is not visually as attractive as some of the other Australian bowerbirds, such as the Satin Bowerbird which collects blue items, and the striking gold and black Regent Bowerbird, it certainly beats them hands down when it comes to cheekiness and personality.